See how traditional Shanghainese lifestyles intersect with a modern megacity on this fantastic walking tour, the perfect introduction to Shanghai. 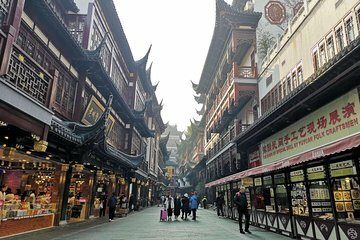 Start on the Huangpu River banks with a stroll along the Bund; tour 16th-century Yuyuan Garden; experience a Chinese tea ceremony; explore two vibrant markets and authentic local streets; finish in fashionable Xintiandi. Along the way, break the language barrier and achieve the insider perspective only the best tours provide. Great tour our guide Tom was excellent. He was very knowledgeable and gave us lots of interesting facts and information. Would thoroughly recommend this tour and guide.